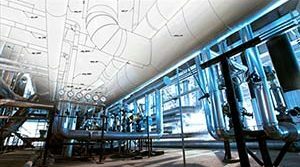 300+ Cryogenic Insulated Pipe Supports for LNG Service | Piping Technology & Products, Inc.
Over 300 pre-insulated pipe supports were custom fabricated for a cryogenic pipeline at an LNG facility in Louisiana. High density polyurethane foam was used for insulation, with thicknesses ranging from 2” to 4”. 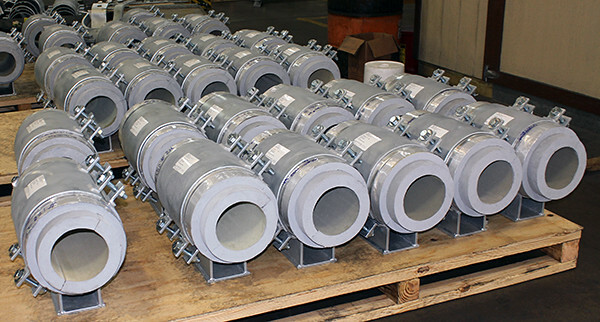 The cold shoes are for pipe diameters ranging from 6” to 24” and are fabricated from carbon steel with a hot-dipped galvanized finish. 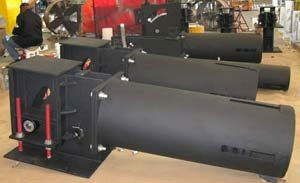 They are designed for temperatures down to -112°F, movements of +/-2” and operating loads ranging from 15,000 to 30,000 lb. Standard quality control tests were performed prior to shipment.